THANKS SO MUCH to Mrs Taylor, knitter and supporter extraordinaire! 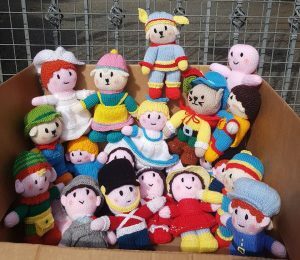 This very talented lady produces batches of knitted toys regularly to raise funds for us. These newly arrived little souls are destined for our shop in Redruth, where hopefully they will all find new homes!